Our pick for the best backpack for boy scout is the Osprey Packs Atmos AG 65. Its Anti-Gravity suspension system provides quality ventilation while reducing the overall weight to make it easier to carry. There’s a host of storage areas as well as a sleeping bag compartment. The backpack also adjusts well and with ease so that Scouts of various ages and sizes can wear it. 3D AIR HIPBELT AND SHOULDER HARNESS: Gregory's PreCurve technology and multi-density foam construction combine to eliminate hotspots and relieve pressure in sensitive areas. The 3D AIR mesh wicks away moisture, increasing overall comfort. WISHBONE INTERNAL FRAME: A high-strength aluminum frame defines the perimeter of the back panel, preventing the pack from losing its shape and keeping the load close to your center of gravity. FREE DAYPACK: Removable hydration sleeve converts into fast and light SideKick Daypack with shoulder harnesses and accessory pocket. CUSTOM FITTED RAINCOVER: Included rain cover stows in a quick access zippered pocket on underside of the top lid. IDEAL USES: Backpacking, Through Hiking, Hiking, Camping, Travel. WEIGHT: 4.84 lbs. DIMENSIONS: 30.0" x 13.0" x 13.0". 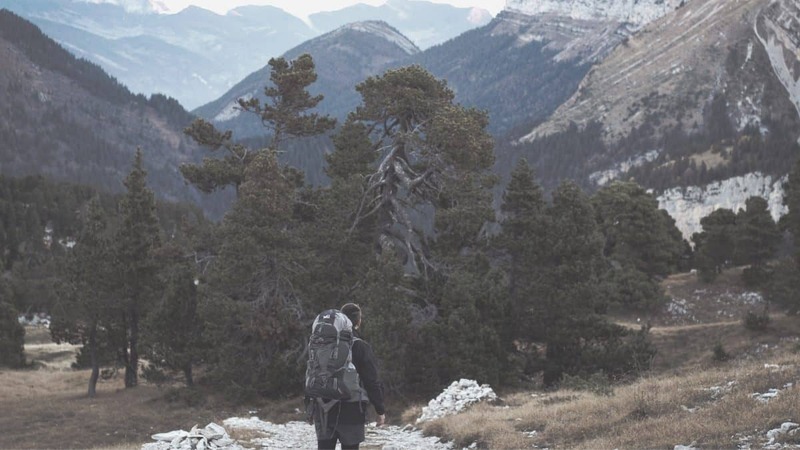 To help narrow down the vast array of backpacks on the market, we have picked out six of the best and given our thoughts on which situations each one is suited to best. Choosing a new backpack for a Scout backpacker is a critical and expensive decision so spend some time making it. Visit some stores and try on a few packs. See what your friends have and how they like it. Ask the trek leaders what they recommend. Then find (and buy) what you need. In the meantime, borrow or rent a pack for your first few practice hikes or summer camp. There are tens of thousand of unused backpacks sitting in closets, basements, and garages for you to borrow. Just look for them. However, if you borrow a pack, make sure it gets re-adjusted it to fit your body. Otherwise you will have a bad experience. There are several important considerations when choosing a new backpack, and also many that are trivial. The weight that you attribute to each will largely depend on the type of trips you intend to take and some of your own personal preferences. From our vast experience we give below what we believe should be at the forefront of your mind when you are choosing the best backpack for you. Size is important. 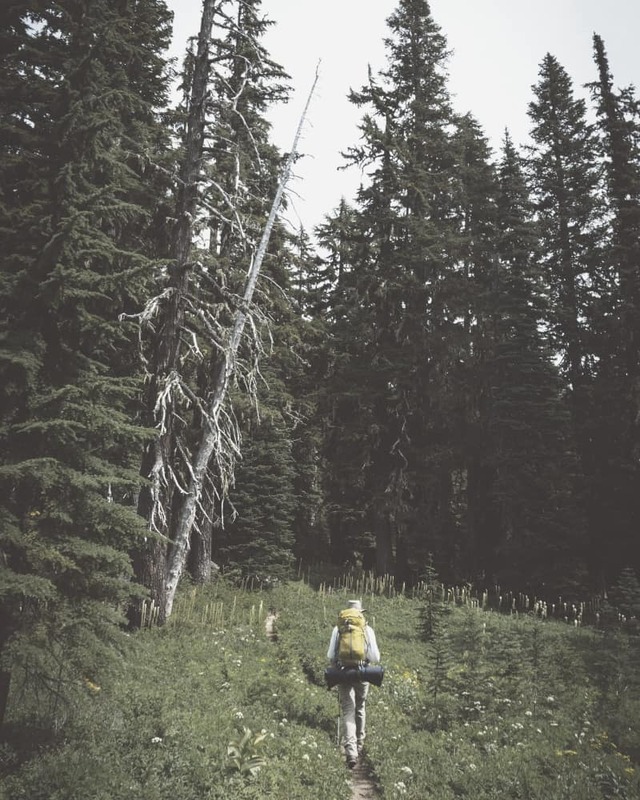 Hiking backpack sizes vary considerably, with most Scouts need a pack that can hold 50-70 liters of clothing and backpacking equipment for a one or two-week backpacking trip (like Philmont). Do not go over or under this unless you have thought it through and have specific reasons. A pack that is too small will not hold all your stuff and you end up tying things onto the outside of the pack. Packs that are too large will get filled up with unnecessary items that just add weight (for this reason we advise that your pack is the last piece of equipment on your backpacking gear list that you purchase). Many hikers work too hard because they have not adjusted the straps on their backpack correctly. (Watch the video below to see how a pack should fit.) Always make sure you have at least 20 pounds of weight in the pack when trying it on in the store. (An empty backpack tells you almost nothing about how it fits when full.) And then walk around the store with the loaded backpack to see if there are any problems, like the pack pinching your shoulders. Try more than one pack before making a decision. Watch the video below to see how a pack should fit. When buying a pack, try on a “fully” loaded pack at the store. Take your time to insure proper fit. Be certain to work all of the pocket zippers. Make sure the hip strap fits and can be adjusted. Be sure the pack allows sufficient space and/or tie-downs to accommodate a sleeping bag, pad, and bear canister. Ask if the pack can be repaired by the manufacturer. Your purchase should allow multiple adjustments to handle the expected growth of a young hiker’s torso. Also, a youth backpacking pack should be refitted prior to any major trek because young bodies change over time. An important consideration with backpacks is the number of pockets or zippers on the back of the pack. Some guys like to put things like cat hole shovels, first aid kits, snacks, water tablets etc. in an outside pocket so they are easy to retrieve. Other guys like a sleek look and no pockets. Many new packs do not have pockets because zippers add weight, forcing the user to put everything inside the main cavity. Know what you like and need when selecting a pack. 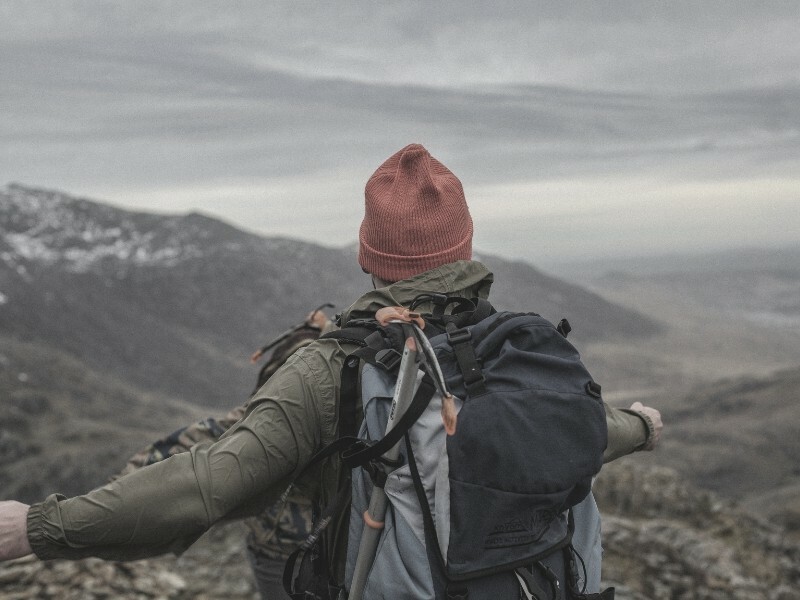 There are two traditional types of backpacks for hikers that Scout leaders will talk about: the traditional external frame and the internal frame. However, external frames have evolved into hybrid internal frames with fortified frames. Many retail stores no longer carry traditional external frame packs and they may have to be ordered online. 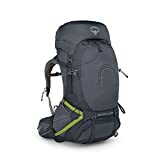 Ultralight backpacking packs are emerging as a popular third category, but they are often very similar to internal frame backpacks with lighter (or missing) frames. Internal Frame Backpacks incorporate a plastic or metal frame into the fabric or interior of the backpack. (Basically they took the larger external frame, made it smaller by using stronger types of aluminum, and embedded the smaller frame into the fabric of the pack.) They might be more complicated to pack (sometimes having only one large cavity) but sit closer to the body (shoulders) creating better balance and easier clearance on overgrown trails. Internal frame packs are the most common pack you will see on the trail, partly because they can be lighter than external frame packs. External Frame Backpacks were introduced decades ago using a metal tube frame upon which a fabric pack was attached, but they are increasingly rare among hikers today. In fact, many stores do not sell them anymore. External frames were easy to pack, lasted a long time, and allowed good weight disbursement over the hips and legs which means they allow young backpackers to handle awkward loads on most terrain. It is simple to tie things onto the outside of an external frame pack but that often means snagging the pack on trees and bushes. The frames eventually break and they can be dangerous if Scouts are throwing them around – like from a boat to the dock. Ultralight Backpacks are a variation on internal frame backpacks. They are made of light material and are generally just a large cavity wrapped around a very basic frame (or no frame at all). Ultralight backpacks come in all sizes. While the largest ones might carry up to 30 lbs, they are generally designed to carry 20 pounds or less. Ultralight packs usually weigh less than two pounds empty. A Waterproof Pack Cover is a common accessory, especially if you live in areas where it rains a lot. A waterproof pack cover needs to be large enough to protect items strapped to the exterior of the pack. A couple of large garbage bags may be suitable for summer hiking, but if multiple rainy days are anticipated (like at Philmont) a real pack cover is better. They cost up to $40, but are much more durable than garbage bags. Some backpacks claim to be waterproof, but that is extremely rare. Lining the inside of a Scout backpacks with a light-colored trash compactor bag helps keep everything dry and easy to find. Remember to put the lightest stuff (like your sleeping bag) at the bottom of the pack and the heavy stuff (like food and water) at the top, close to your back and between your shoulder blades. When hiking, the weight of the pack and its contents should sit mostly on your hips and not on your shoulders. If your Scout needs a backpack that’s multipurpose yet simple enough for them to handle overnight, the Kelty Redwing 50 might be the right choice. It’s simple thanks to the perfect fit suspension feature that makes adjusting and fitting the pack a 3-step process. Also, this may help your child have an easier time achieving a customized fit. Tightening the waist can be a challenge for smaller kids, however. So, if you want something to manage that better, consider a backpack such as the Gregory Baltoro 65 that fits snugger. Nevertheless, the Kelty Redwing 50 can typically distribute weight well for proper distribution if they have a heavy load due to the single aluminum stay. Pockets are organized so that everything has a place and is easier to find. There’s also the hydration sleeve that’s a dual-use pocket that can securely store a laptop. To keep Scouts dry all weekend long, the pack features a Dynamic AirFlow back panel. Kelty Redwing 50 is a multipurpose backpack that features numerous organizer pockets, a 3-step adjustment system, and padded straps and a mesh panel for comfort. For Scouts in need of something more comfortable to carry, consider the ULA Circuit. It weighs less than 41oz, and even when loaded with 30lbs worth of equipment, the pack is light and easy on the back. The single aluminum stay combined with dense internal foam frame allows for max load control and transferring weight while offering your Scout necessary back support for those longer hikes. For packing purposes, this backpack features large pockets so kids may have a little issue fitting their necessary items inside. If more room is needed, there are even some features that can be removed such as the hydration sleeve and water bottle holsters. If your Scout has struggled to get a good fit, then the ULA Circuit may aid them as it can be ordered with an adjustable harness system. This ranges from 12in-18in, sizes that are intended to be optimal for kids. ULA Circuit may be one of the best lightweight backpacks for Boy Scouts that fist securely with contoured shoulder straps and easy adjustability for kids. If you know your child will require a backpack in rainy weather, the Gregory Baltoro 65 might be one of the best choices to help keep gear dry. The pack includes a rain cover, which stows in its mesh compartment out of the way. For some extra protection, the zipper closure is made from high water-resistant material. It can be seen as a general all-purpose backpack that’s easy to load thanks to the top-loading design. This can open from top to bottom so kids can get in and out of their bag fast. The side-mounted accessory pocket is ergonomic also. The Gregory Baltoro 65 may also be the go-to choice if you know it’ll experience heavy use as it’s made from durable Nylon material. When it comes to ease of carrying, this is heavier compared to packs like ULA Circuit so that it may be better for older kids. Gregory Baltoro 65 is an excellent all-purpose backpack for a Boy Scout camping in rainy weather thanks to the included rain cover and water-resistance. 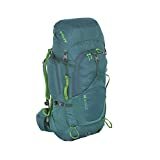 The Osprey Packs Atmos AG 65 is one of the best backpacks for Boy Scouts due to features such as the anti-gravity suspension system. It utilizes continuous lightweight mesh on the back panel that goes from the top down to the hip-belt for ideal ventilation. 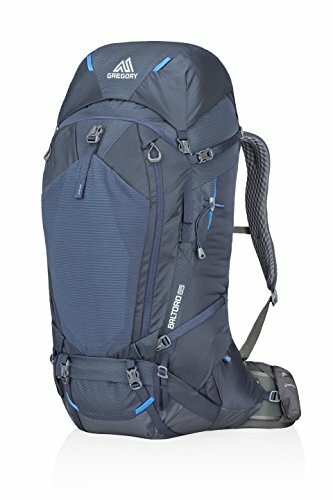 If your Scout has issues with weight, then this system can make it feel as though they’re carrying less as it helps the pack wrap well around the body. It’s comfortable thanks to the Fit-on-the-Fly hip-belt which, coupled with the adjustable harness, helps get a perfect fit. Also, the upper and lower compression straps help stabilize the load. For those of you looking for a good amount of storage options, this pack can provide it. There’s an internal hydration reservoir sleeve, zippered hip-belt pockets for small items, as well as two zippered front pockets for more storage. One particular feature that your Scout may enjoy most is the easy-access sleeping bag compartment at the bottom. 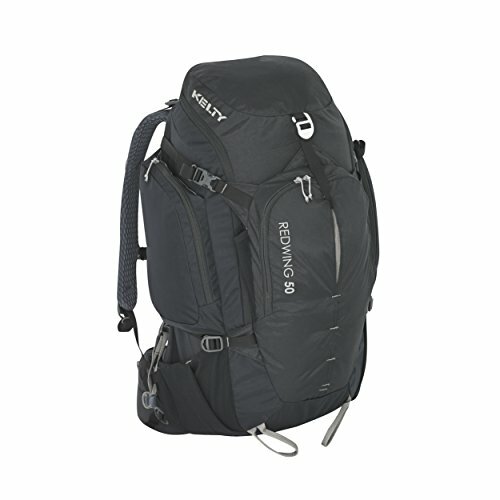 Osprey Packs Atmos AG 65 uses an anti-gravity suspension system to make it lighter in weight as well as provide ventilation for warm weather. The Kelty Coyote 80 may be a good option if you require a huge backpack with loads of space. It is intended for extended trips, so it is made with more than enough room to store necessary supplies. Accessing it all is made simple also as it is both top-loading and it has front panel access with organizational pockets. Since it’s made for longer duration trips, it is heavy compared to other backpacks as it weighs over 5lbs while empty. Because of this, older Scouts may carry it better while younger ones might want to stick with the likes of Osprey Packs Atmos AG 65. It does fit well though as it has a Perfect Fit Suspension that is one-size-fits-all. This can help provide customized support, and for greater simplicity, it has an on-body adjustment system. Kelty Coyote 80 is an oversized backpack ideal for extended trips while being easy to access as well as quick and straightforward to adjust. If you can’t spend too much money on a backpack, the TETON Sports Explorer 4000 can get the job done as it’s budget-friendly while still being high in quality. It is fully adjustable from the torso to the chest, and the shoulders, and the waist. 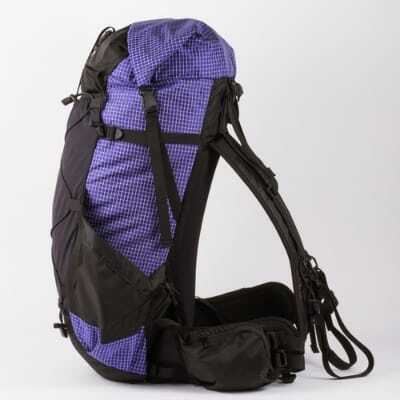 However, adjusting the hip-belt alone isn’t as simple to do as other packs like the Kelty Coyote 80. It offers a decent amount of storage space as well as a separate area for a small sleeping bag. The pack has pass-through side pockets for awkward gear like trekking poles. There’s also an integrated rainfly in the event of wet weather. The back panel is padded and provides airflow if your Scout is concerned about it breathing well. For more comfort, the shoulder straps are also well-padded. 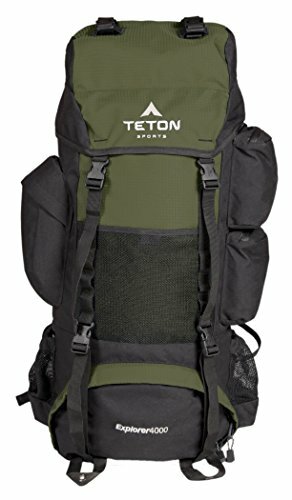 TETON Sports Explorer 4000 is a budget-friendly backpack that offers additional storage compartments, room for a sleeping bag, and a rainfly for weather protection.